The Fallas 2009 poster is available now! 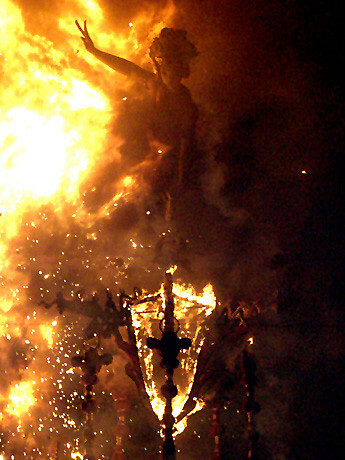 If you frequent our blog, you’ve probably guessed that we love two things above all else: Fallas and Photography. We’ve decided to marry the two and, very soon, plan on offering an exclusive Fallas 2009 poster. Juergen, whose unique and captivating work graces our blog, is a professional photographer and a die-hard Fallas aficionado. Once the plantà has occurred and all the monuments are up, we plan on crisscrossing the city to visit every single one. We’ll then put together an original poster featuring all 14. It’s going to be sweet… I’m pretty positive of that. If you’d like to be alerted once we’ve completed and have begun to sell the poster, send a short email to , and we’ll add you to the notification list. Or, just keep your eye on this blog!